Kraftin' Kimmie called Vampire Queen. 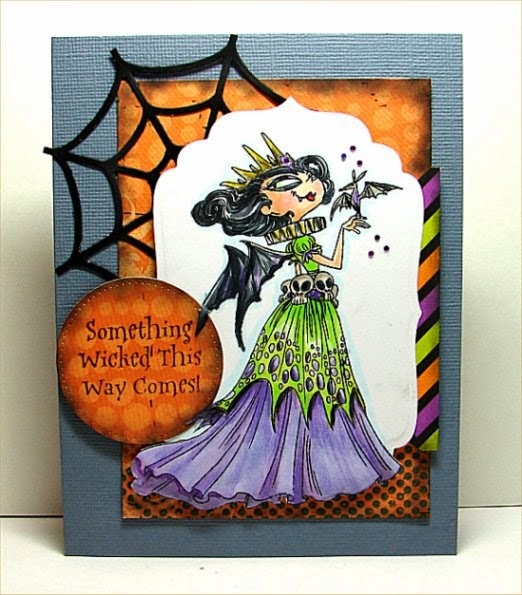 The sentiment actually came with another stamp from Kraftin' Kimmie called Dragon Queen, but I think it works well for this card too! I stamped it on printed paper (from my stash, so I don't know who makes it). I used black chalk around the edges ... I like chalk better than ink for this because if you mess it up you can fix it with a white eraser. but they looked too big. However the punched out sequin centers were the perfect size. I tried with a close-up so you could see what I mean. and Kraftin' Kimmie's Wonderful Wednesday Challenge. 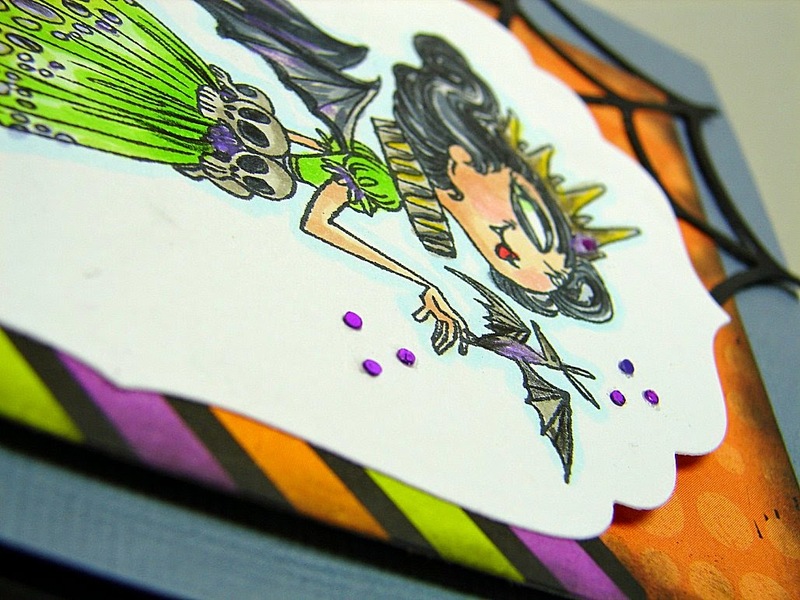 Argh - this is so cute - I love how you took the colours - a perfect choice of image and papers. Love it! Thanks for joining in with us at Simon Says Stamp Colour Challenge. Absolutely adorable!!! Love the colors!! Very fun! Thanks for playing along with us at Kraftin' Kimmie Stamps!